The Manduka Align strap is a high-performance yoga strap that provides strong, secure support for even the most challenging yoga positions. 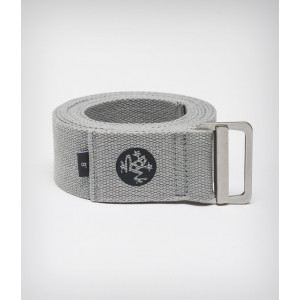 The Align yoga strap combines the traditional strap design of the legendary B.K.S Iyengar with unbleached natural cotton webbing and Mandukas innovative and proprietary sure-secure interlocking buckle to help support and enhance your practice. The Manduka Black Mat(R) PRO yoga mat is known for its simple design, nonslip surface, thick cushioning and excellent durability. Manduka Black Mat PRO Yoga Mat - 85"
The 85 in. 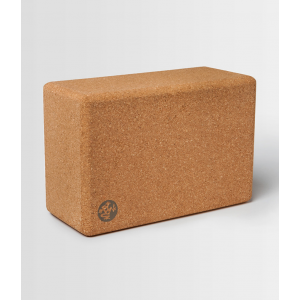 Manduka Black Mat PRO Yoga Mat is known for its simple design, nonslip surface, thick cushioning and excellent durability. Not slippery when wet. That's the mantra of the Manduka eKO 5mm yoga mat, which features non-Amazon harvested tree rubber and offers excellent grip, even and especially when yoga sessions turn sweaty. 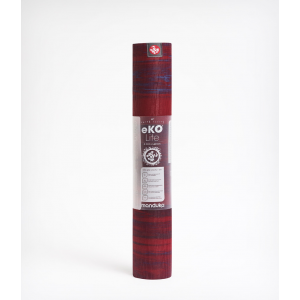 The Manduko eKO Lite 4mm Yoga Mat offers unparalleled grip to perform even in the sweatiest of conditions. In addition to its superior grip, the mat provides exceptional comfort and cushioning. Take your yoga practice on the road with the Manduka eKO SuperLite(R) Travel yoga mat. It weighs only 2 lbs. and can be folded to fit in small travel spaces. The Manduka eQua hand towel serves as a germfree gym towel to absorb perspiration, a meditation shawl for cool sitting sessions or as an absorbent hiking towel that takes barely any packing space. 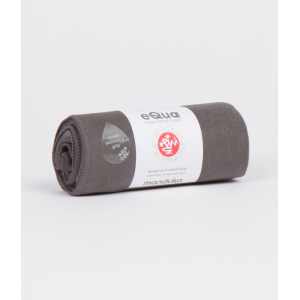 The eQua Hold yoga mat towel combines the super-absorption, sweat-activated grip of beloved Manduka eQua towels with their patented Skidless Technology to create a towel perfect for any practice. The Manduka eQua Plus yoga mat towel offers a slip-free surface to practice on while enjoying hot yoga. 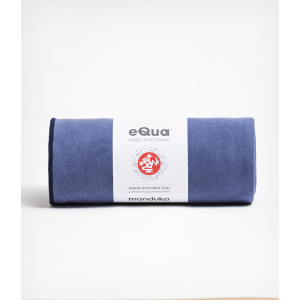 The Manduka eQua Yoga Mat Towel works well as a germ-resistant gym towel, a meditation shawl during cool sitting sessions or as a space-saving, highly absorbent travel or hiking towel. Sleekly designed for the yogi looking for a classic single-compartment mat carrier, the revamped Go Light 2.0 Mat Carrier protects your mat and adds convenience to your commute without extra weight.